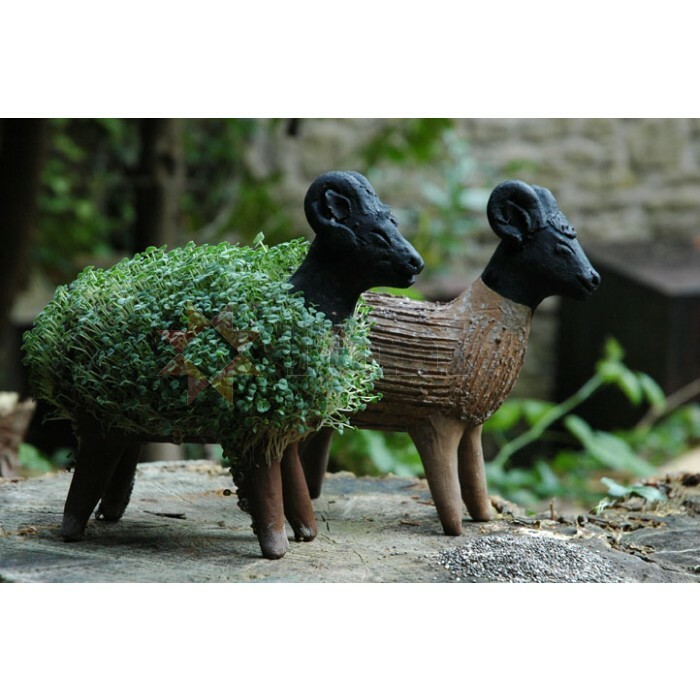 Ceramic grow your own sheep kit. These animals are exclusive to Tumi and come packed in a box with seeds and full instructions. You need to fill the animal with water and soak the seeds for an hour or so[comma] then gently cover the surface of the animal with the moist seeds. Leave the animal for a few days[comma] making sure it is kept topped up with water. Soon you will have your own hairy animal and some home grown cress for your salads. Of course[comma] you can keep re-using your animal over and over again. A very popular seller as it makes an unusual gift for all ages - particurly popular if you can put a grown one on display.